Helps to explain the most suitable way to sustain a clean environment. 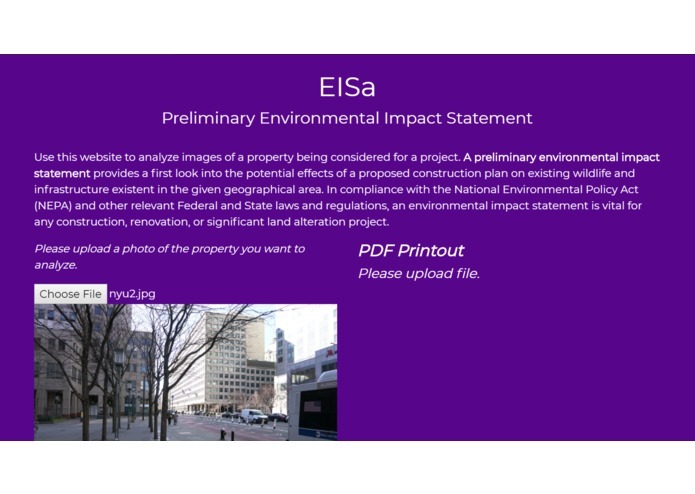 EISa provides a simple and effective way to create a preliminary environmental impact assessment. 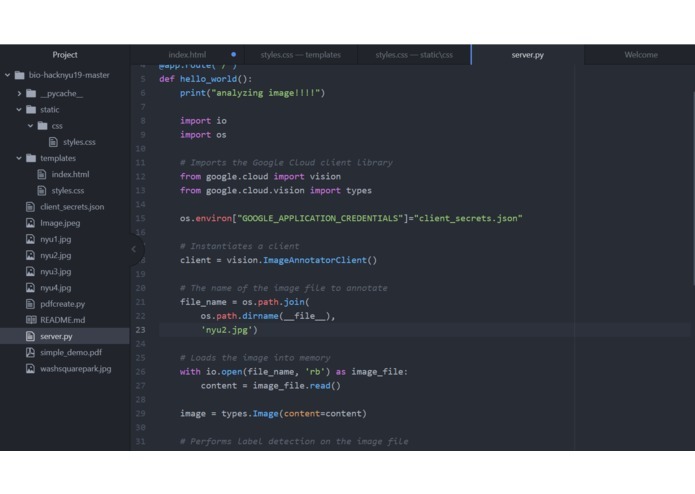 Using Python, it will analyze a photo upload to our website. This will show the impact of whatever you do to the environment and see if you harm it. After compiling this percentage, the software will spew a pdf of the impact as well as solutions to help rectify the issue. This software is to be used by anyone who wants to see the impact of their decision as well as help them make the best plan of action. Winner Contrary Capital: Most Disruptive Technology. 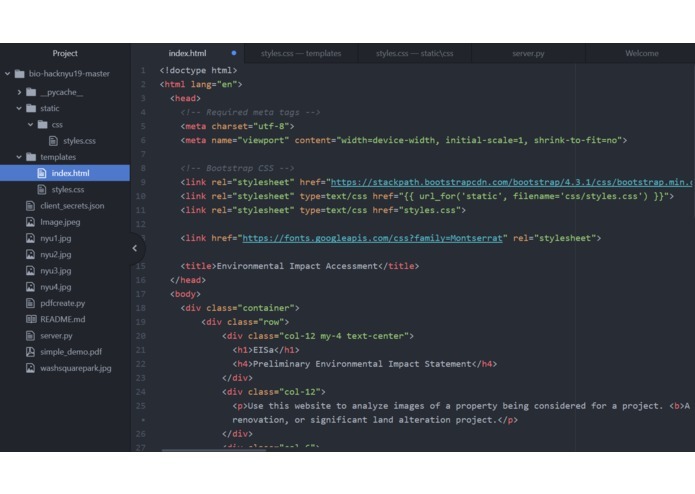 Used Google Vision API, created HTML/CSS frontend, made sample Environmental Impact Statement, and used Flask to create webserver.